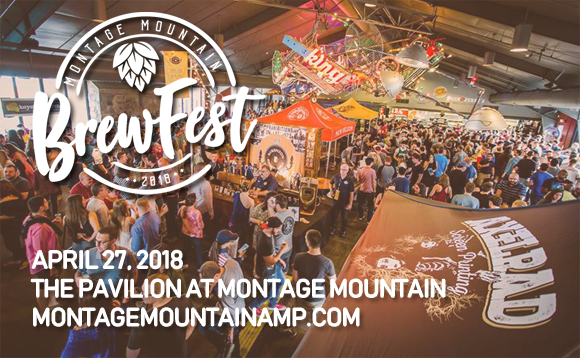 An essential springtime excursion for food and drink lovers in Northeast Pennsylvania, Montage Mountain Craft Brewfest comes to the Pavilion at Montage Mountain on Friday 27th April 2018! Enjoy a host of top quality craft beers from an extensive selection of local and national breweries, plus tasty local street food, artisan-made gifts and live entertainment! Montage Mountain Craft Brewfest is Northeast Pennsylvania's premier beer festival, featuring over 125 hand-picked craft brews from a vast selection of incredible brewers, both local and national. Enjoy gastronomic delights to perfectly suit your favorite beer in the VIP Food Pairing Session, or choose unique cuisine from one of the local food vendors. There will also be engaging live entertainment and a variety of shop stalls from local artisan traders for all your gifting needs!